Oh my mother and her friends and their "home permanent parties" ... the smell of the chemicals mixed with cigarette smoke and the laughing ladies are still deeply engrained in my olfactory nerves . 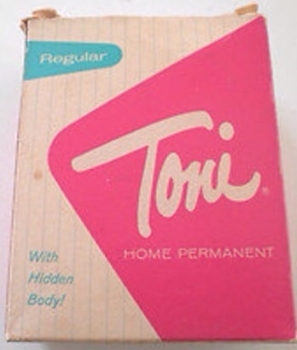 We had to guess, "Which twin had the Toni ??? " With 5 sisters...there were days when the the house would "stink to high heaven".